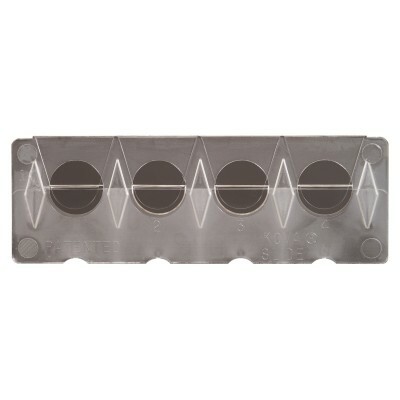 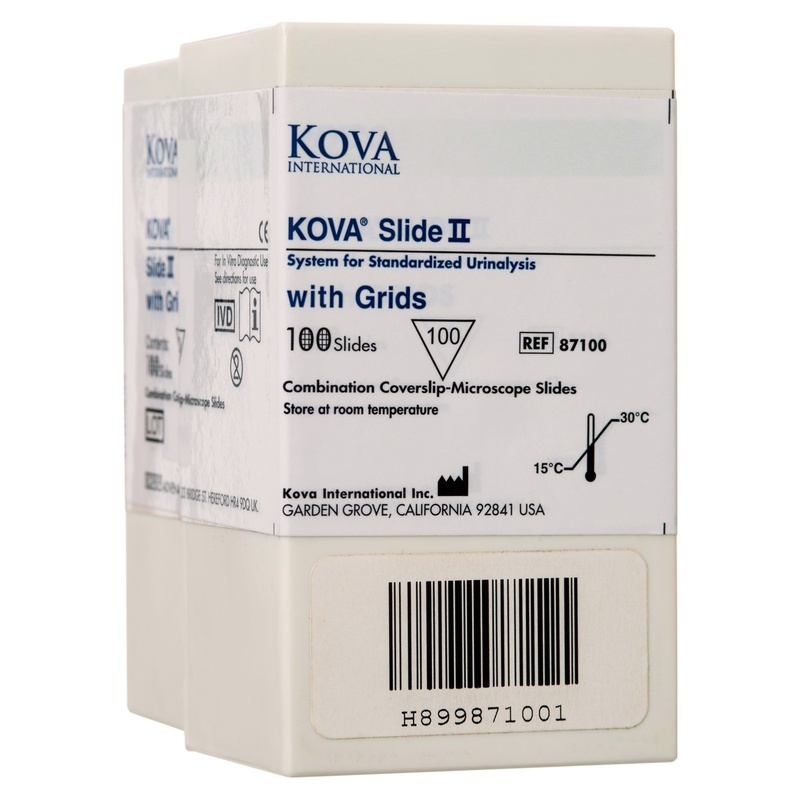 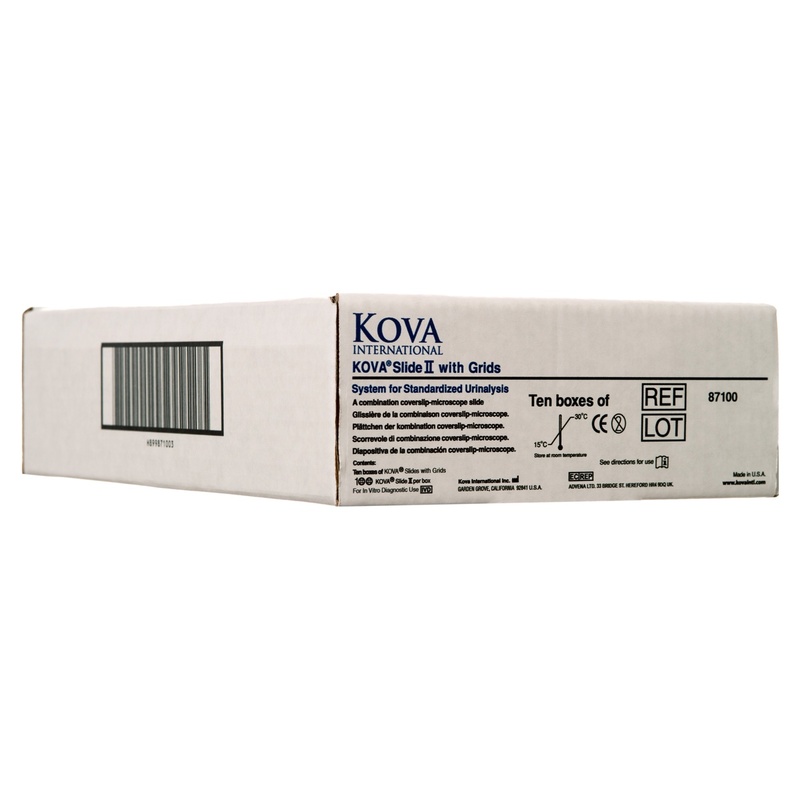 KOVA® Slide II – A precision manufactured, disposable four-chambered microscope slide made of clear plastic that provides viewing optics similar to glass. 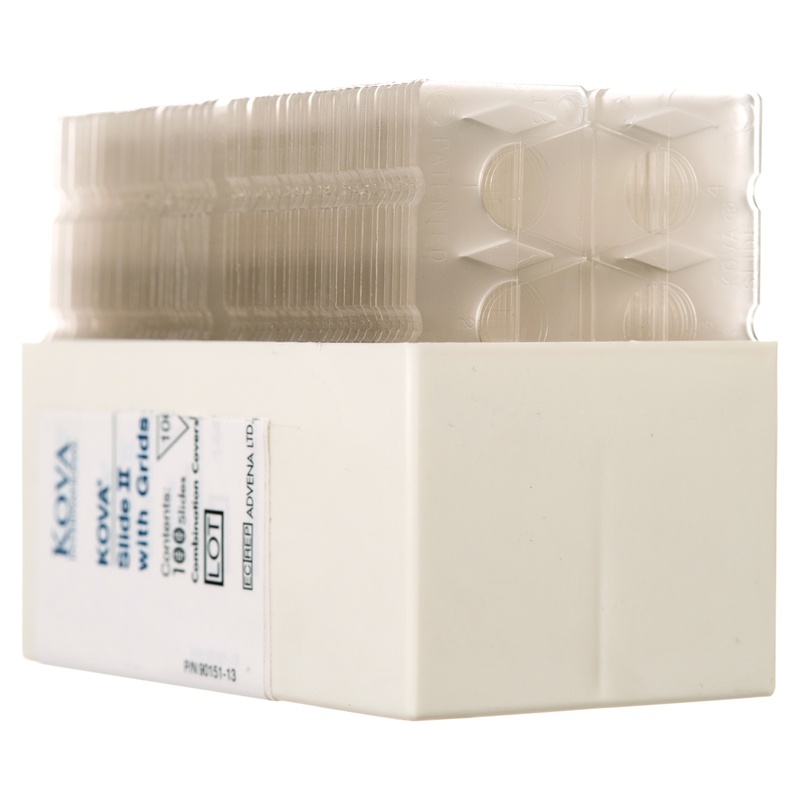 Each numbered chamber provides 0.15mm standard depth in which to examine a constant volume of urine sediment. 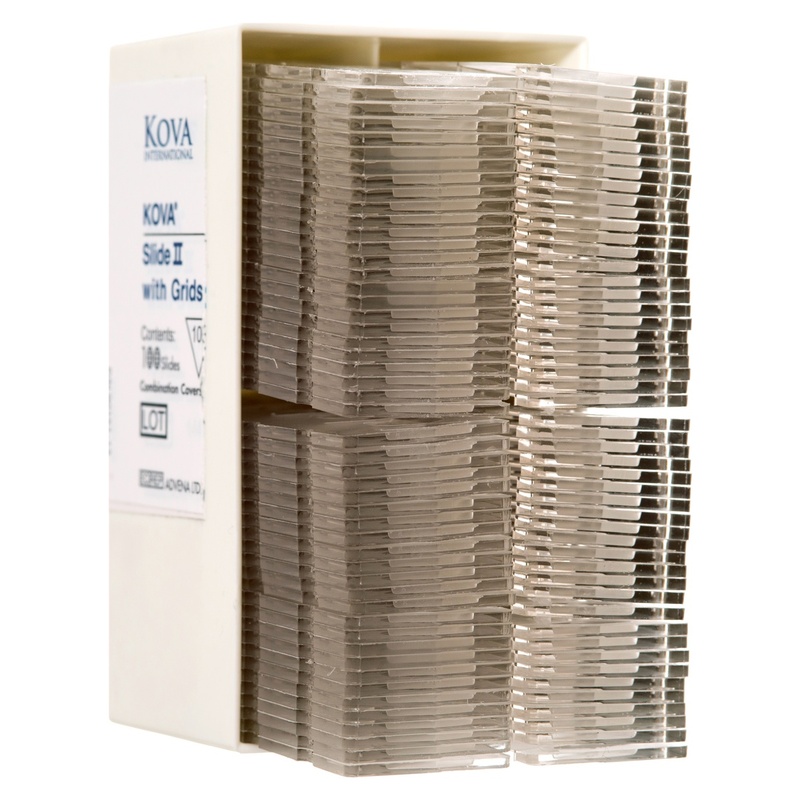 100 slides per package.